LG G4 is one of the most recent additions into the android market from LG. Going by both the features and beautiful design, the LG G4 surpasses its predecessor, the LG G3; that's as expected though. Ordinarily, you would enjoy using every single feature of the LG G4 but to further enjoy it, you should consider rooting your LG G4. In case you have attempted rooting the phone and having some difficulties at that rooting it, here is a simple tutorial that walks you through the step by step procedures on how to root the LG G4. 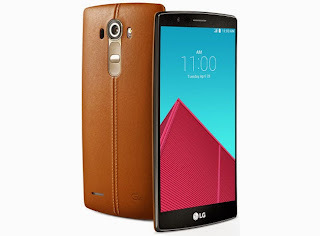 Rooting LG G4, What Does it Mean? All untampered android devices come with some secured/protected partitions. This protected partitions prevent some applications from gaining access to the crucial aspects/parts of the android devices' system. Meanwhile, rooting android device is the process of removing the locks on the protected partitions of the android device system. Rooting your android device makes it possible for you to perform a lot of activities you might not be able to perform ordinarily, giving more controls over the activities of the phone. Activities like changing the phone's fonts, tweaking the IMEI, using some VPN apps, changing or hiding your IPs among others. Although, the LG G4 already comes with some fonts and can be changed at will, rooting the LG G4 makes it possible for you add additional fonts. Any Side Effects Rooting your Android Device? Sure. There are some side effects. However, almost all the side effects can be over-ridden or avoided if you desist from going beyond your limits. The simple rule to avoid all the side effects is "Do not do what you are not sure of and do not install apps you can't handle"
StumpRoot is a trusted application you can rely on in rooting your LG G4 since most other rooting applications tends to either brick the phone or fail in rooting most LG phones. You may try Kingroot as well. To use Kingroot, you need to have active swift internet access. Once the download is complete, proceed to installing the application on your phone. Remember to enable "Install Non-market App" option on your android device. Now, locate the stumproot application icon on your LG G4 app drawer, open the application. Run it and wait patiently until it complete the processes. All things being equal, if stumproot is able to successful compile and install the necessary scripts, it would instruct you to install SU Manager (SuperSU or Super User) from the PlayStore. At this point, you may download either of them from the PlayStore or install either of them straight away (if you have the .apk file on your phone). And by this, you have successfully rooted your LG G3. You can test the root access by installing Rootchecker on the phone from PlayStore or running an application that requires root access on the phone. i- For a successful rooting operation, you should factory reset your LG G4 before you attempt rooting it with Stumproot. ii- You should make sure that you backup your files before you proceed as rooting of android devices are not mostly determinative.